Many people believe that if it ain’t broke, don’t fix it. Many engineers are tasked with taking something that isn’t broke and make it cheaper to produce and no better than it needs to be. It’s call “planned obsolescence” when the need is determined to be designed-in failure. In the case of the light bulb, there was a light bulb engineering collusion that occurred on December 23, 1924, that decided the lighting industry needed to have a replacement market for their bulbs. So, failure became a design-in criterion. The template that creates the look of this website has not been updated for many years. I made a recommendation to a friend to consider using the same template for a new Blog he was considering. He looked up the template and he mentioned there were no new updates for some time. The 4S still does all I need a mobile phone to do. I like its small size. It ain’t broke. But the upgrade market is trying very hard to create that illusion. I am a bit like Gibbs, on the NCIS TV program. 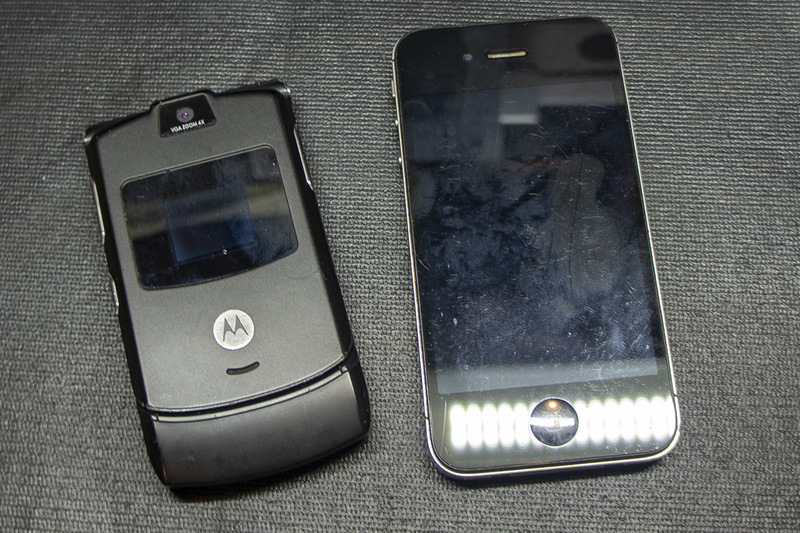 I have a Motorola flip phone in my drawer, I would love to put back in service. All I really need is a phone. Well, I don’t actually “need” a phone, but the convenience is like being on drugs. It hurts to give them up. I compared my old iPhone to the old website template.